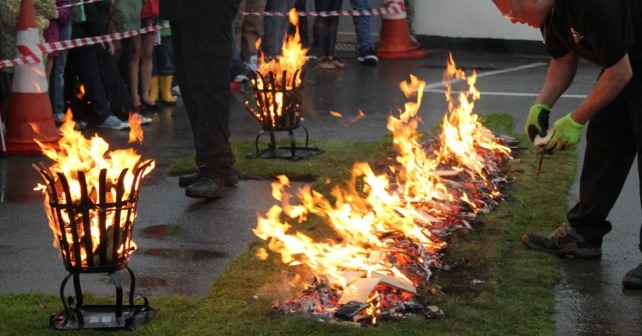 I am doing a FireWalk at Compass Disability Services, Taunton on Saturday 27th July 2013. No tricks will be involved; Just me and the hot coals! I am raising money for two worthy local Charities. Apple FM as you all know is a new Not-for-Profit Local Community Radio Station staffed entirely by Volunteers & broadcasts throughout Taunton Deane on 97.3FM. Its sole purpose is to provide an effective and essential Radio Service for the entire Care Community of Taunton Deane, covering all age groups. (This includes Musgrove Park Hospital, Care & Residential establishments for the young and old, Doctors & Medical Centres, people being cared for at home, their friends & families and for Carers themselves. Broadcasting live 24 hours a day, 7 days a week, 365 days a year, we reply on a mix of Donations and Corporate support to continue to provide the wonderful and vital service it does. Please dig deep and help support these two worthy causes by sponsoring as much as you can to my FireWalk.